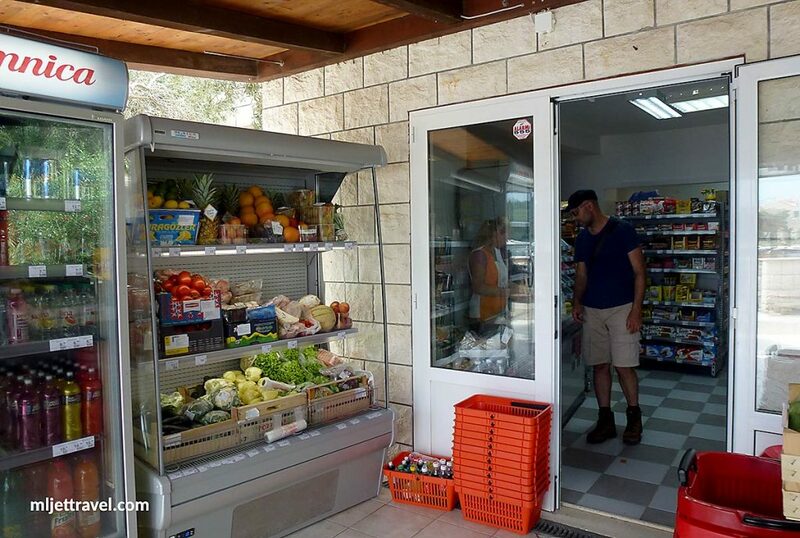 Shopping for food in the National Park is easy. 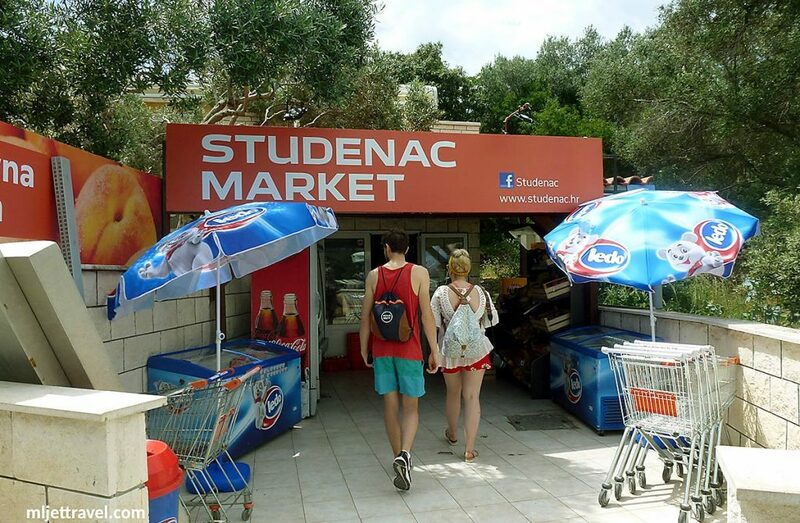 There is a small but well-stocked supermarket “Studenac” in Pomena, where you can find everything you may need for preparing your own meals if you are staying in the self-catering apartment or villa. 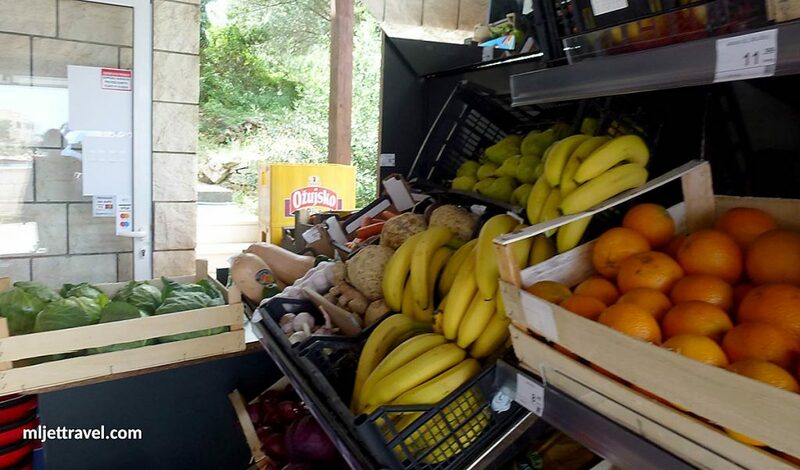 It is also well stocked with fruit and veg as well as with cold drinks, beer, wine and ice creams. The opening times is 7 am to 7 pm which gives you plenty of time to stock on your favourite items. The market is situated right next to the National Park entry info and ticket office just few hundred meters from the entrance to the park. If you are visiting the Park just for a day trip and would like to save some money on drinks and snacks in the Park’s restaurants and cafes, the best option is to buy all you need to eat and drink in this shop. 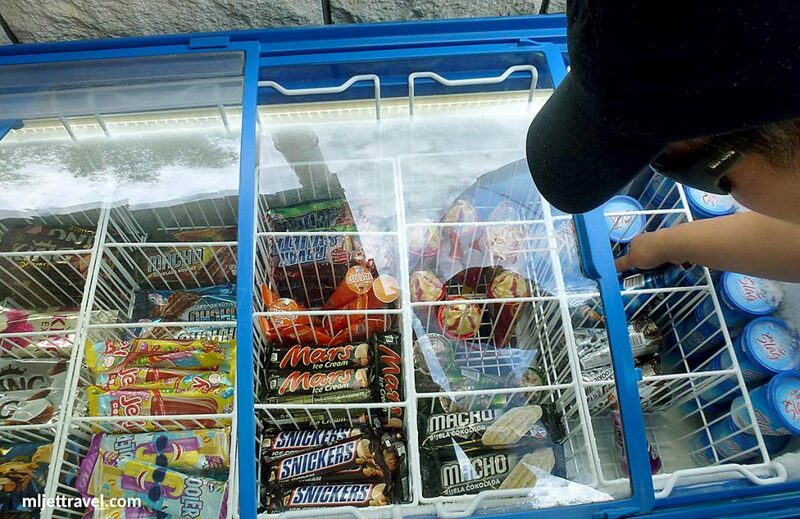 You can also get a bag of ice here as well as food containers if you need them, so keeping your food cool while exploring the Park will be effortless. You will find this shop as soon as you get out of the ferry. From the ferry port, just walk towards left (east) and after a couple of hundred meters, you will spot the shop on the right side of the road. 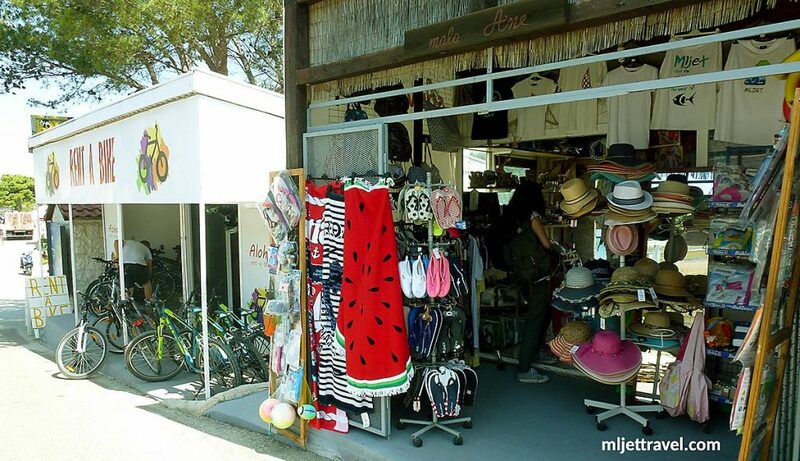 There is also another shop in the Park that offers souvenirs and frequently asked for items such as hats, t-shirts, swimming and snorkeling gear, beach towels and bags, flip flops and more. 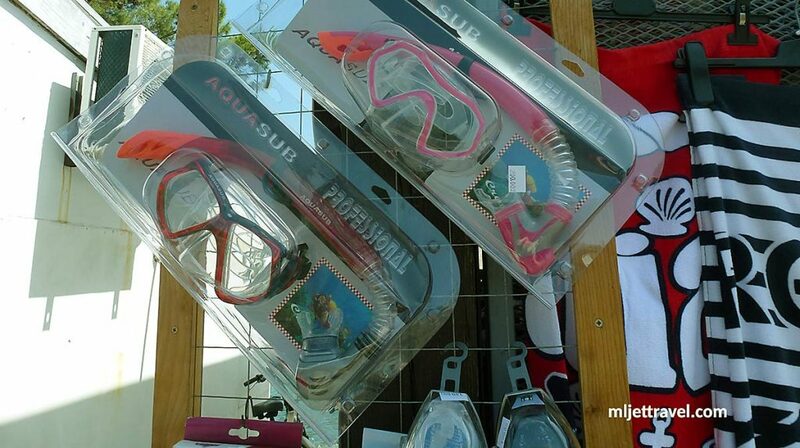 It is well stocked with any item you may need if you are visiting the Park for a few days. Right next to this shop you can also rent a bike. If you did not bring a hat with you, do yourself a favour and get one here. It is an essential item if you are visiting the Park from April to October.